ATLANTA - Georgia's hotly contested governor's race is attracting vast amounts of campaign cash. Republican Brian Kemp reported Friday raising $11.6 million during 2018's third quarter, outpacing Democrat Stacey Abrams' $10.2 million. For the entire campaign, Kemp leads $16.9 million to $16.25 million. Outgoing Gov. Nathan Deal had raised $14.4 million through the same point in 2014. His Democratic rival had raised less than $7 million. Kemp had $6.6 million left to spend as of Sept. 30. Abrams had $4.9 million. Both campaigns say they'll have enough to finish one of the nation's marquee midterm campaigns. 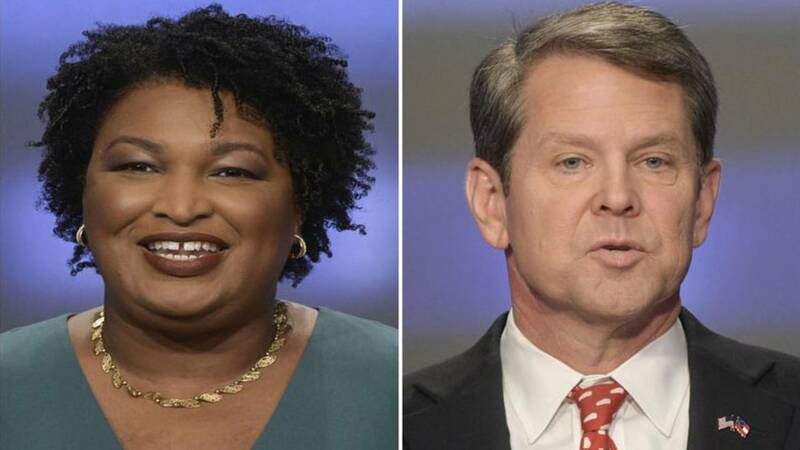 Kemp has hit Abrams for collecting money beyond Georgia. Abrams' campaign notes that while she has raised money from across the country, she has contributions from more than 38,000 Georgia residents, most giving less than $100.